Let’s explore opportunities to partner together! We have exciting technologies and a strong track record that can help your next solar project become a success. Also, please let us know if you are not planning on attending this year’s REI Expo 2018. We would love to schedule a face to face visit with you at your office following the show. 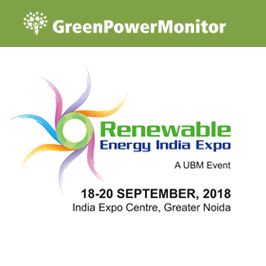 DNV GL will be hosting a complimentary seminar, “Driving smarter operations through digitalization and data analytics”, on day 2 of Renewable Energy India Expo (REI) 2018, Wednesday 19 September from 14:30 to 18:30. During this seminar, DNV GL will be launching the Global Operations & Analytics Centre, one of the first 24/7 monitoring services of its kind in the market which will allow asset owners to safely transfer their risk while benefiting from our deep domain expertise, vast global experience and independent reporting. The seminar will also cover case studies and the centre’s cutting-edge digital solutions for early detection of risk, performance enhancement and forecasting for renewable assets. If you would like to register your interest for this seminar, please click here. To pre-book a meeting or for any further information, please contact us.